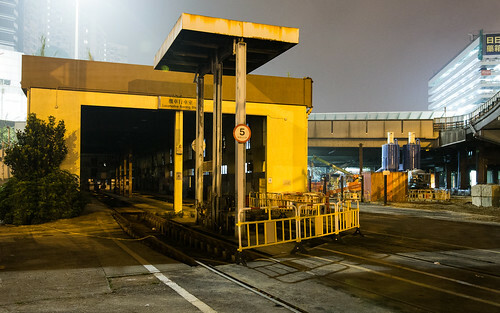 Following the opening of the new diesel locomotive running shed at Lo Wu in 2014, the facility at Hung Hom was taken out of use. The 無人之境 / Abandoned HK group of urban explorers paid a visit to it shortly before demolition. For over one hundred years the southern terminus of the Kowloon Canton Railway has been the home of Hong Kong’s railway motive power. Replacing steam with diesel power in the 1950s, relocating the terminus to Hung Hom in 1975, and the takeover by the MTR in 2007 didn’t diminish this. However the construction of the Shatin to Central Link finally did, with the locomotive running shed being relocated to Lo Wu in 2014.